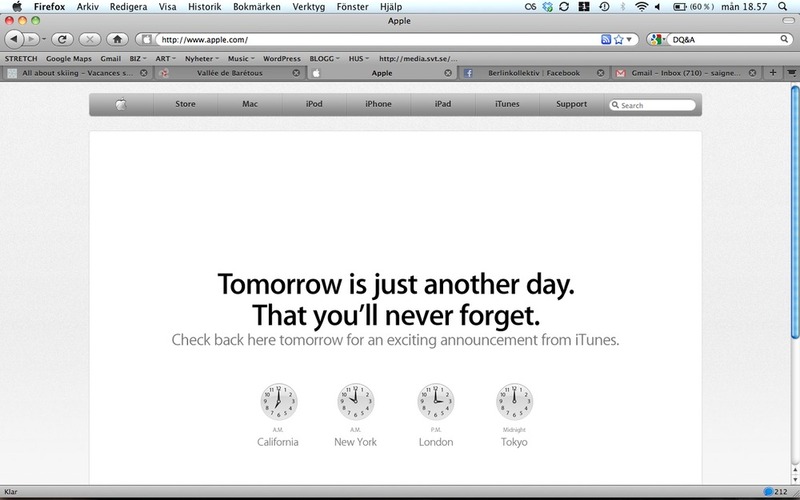 Wich such an announcement and the amazing viral spread of the (still no) news coming from Apple, we can expect some companies like Spotify, Deezer and co. to have a sleepless night. Or maybe not. These guys have been expecting this since a long time back. So it might be good for the market, especially when we are talking about a disruptive business model, a new way of consuming music. So let's see what happens tomorrow. At least, it sounds like a good news for us consumers. “Download your information Get a copy of the data you’ve put on Facebook.” So what’s all this Google-Facebook war about? Just found out that you can download all the information you got on facebook (your contact, all your posts, photos etc). This is not really what all the discussions between FB and GOOG were about last week. 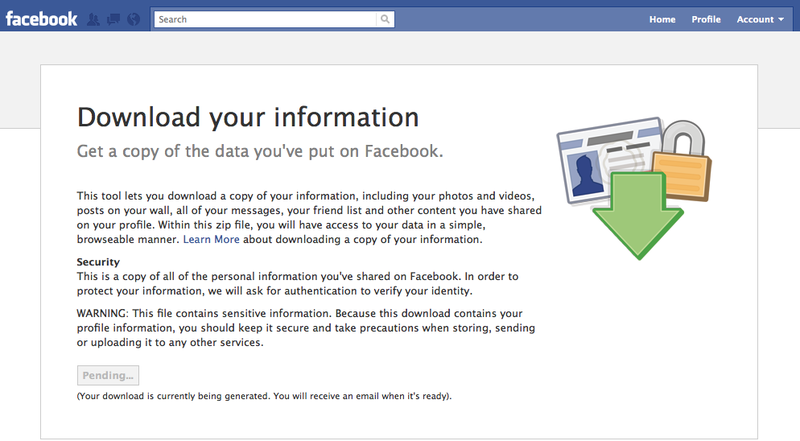 I thought that FB were the bad guys who did not let you get full access to the information that you upload. Is this download feature new? Anyhow, i am going to try this out. If the data is complete, then i must say that FB has completely change their data policy – in the right direction. facebooking. So let’s give it a try! Social media – Facebook and Twitter – managed to kill my blog within a couple of months. I am amazed to see how many other blogs died around mine. They are hunting the web as half dead bodies, filled with old-stuff stories, not being updated for a while, leaving a trace of a quiet recent past, but too old to feel present. All these blogs will mark the rise and fall of a whole (sub-) culture, that was crashed by the power of social media and the convenience of expressing thoughts in just a few words. But i don’t declare the death of my blog. Won’t look into the past what’s been written – i don’t care and no one bothers – but i know there will be a future for deeper communication. Blogs will survive, blogs will be a light in the huge black hole of the social media and the proprietary web 3.0. Berlin Kollektiv will be there! A long time ago Grizzly Bear asked us to remix one of their tracks, but we never found the boldness to mess with their beautiful songs. So the other day we figured, maybe if we combine great things together (Grizzly Bear, Eno, chance), it would create something good. Wow, i get so many good memories when i watch this movie. Kissing the sky from Claudius Kirsch on Vimeo. Agathe de Bailliencourt | web-culture. If you haven’t heard about Agathe de Bailliencourt before, then here’s a great opportunity to do it. If you can’t read french, then you should just focus on the pics, they might tell more than all the words around.